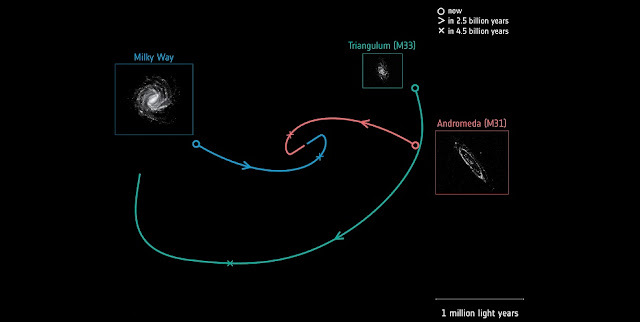 Astronomers have long suspected that Andromeda will one day collide with the Milky Way, completely reshaping our cosmic neighborhood. However, the three-dimensional movements of the Local Group galaxies remained unclear, painting an uncertain picture of the Milky Way’s future. “We needed to explore the galaxies’ motions in 3D to uncover how they have grown and evolved, and what creates and influences their features and behavior,” says lead author Roeland van der Marel of the Space Telescope Science Institute in Baltimore, USA.